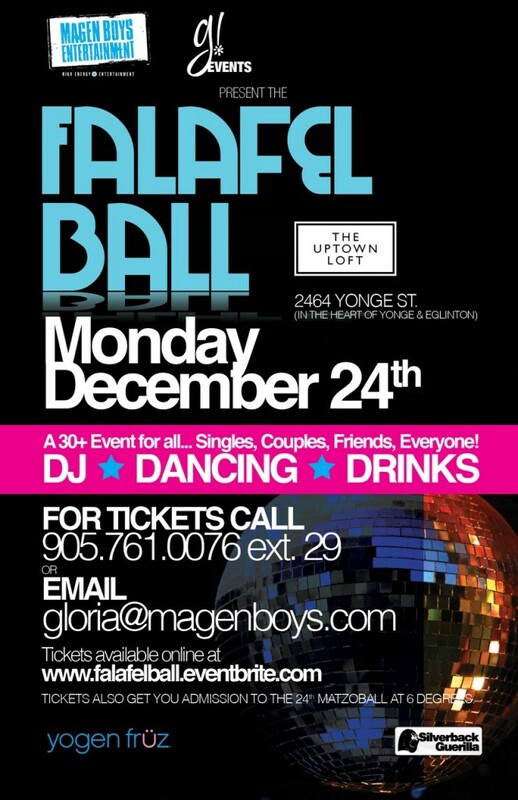 MATZOBALL + FALAFEL BALL THE CITY’S BEST PARITIES OF THE YEAR!!! 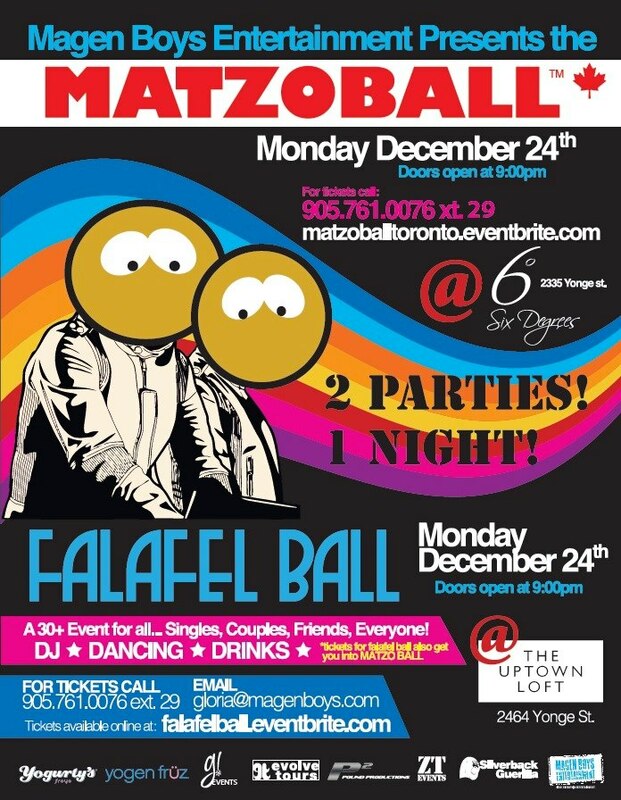 The Matzoball Party is back, bringing people together for a crazy night of partying. Over 1,200 people attend last years annual Matzoball event and this year looks to be the biggest gathering to date. 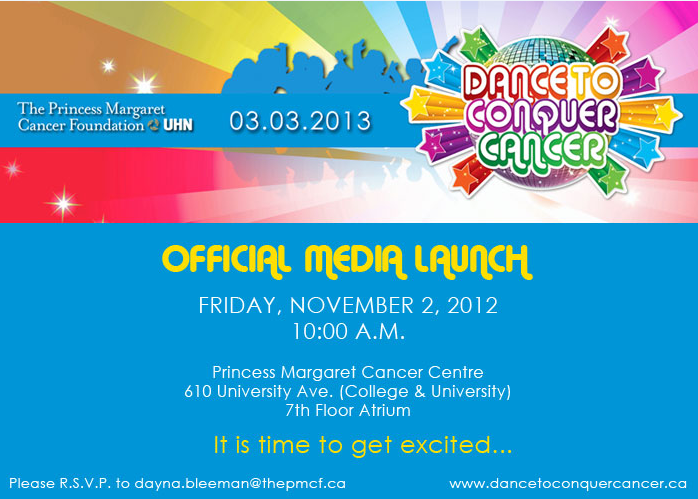 Make sure to buy your tickets to the hottest event in Toronto before they sell out!! Have a few drinks, listen to music across the genres and just come out and have a good time…what else are you going to do on Christmas Eve? MBE @ Camp White Pine 2012!!! CWP!!!! The socials at Camp White Pine are always the best!!! MBE Rocked the Pinetages both months! It’s always a blast to be at our home away from home. Another one of MBE’s favorite days of the year is when we come up for the Midnight Special. This year’s theme was a SPACE theme and we had a glow in the dark party. The campers were in complete shock as the dining hall was transformed in to another planet! We can’t wait till next summer to do it all over again! See you in 2013 CWP! MBE @ Camp Winnebagoe 2012!!!! The MBE Summer Tour was in high gear ALL SUMMER LONG at Camp Winnebagoe! So many highlights we don’t even know where to begin… The summer kicked off with the MBE team being a part of a destination wedding at camp! This was a very magical event! Sadie Hawkins was a blast! Some of the MBE staff even got married!?! MBE’s Justin Barkie and his, KIDS crew, came up to camp as well for a very special dance workshop. One of the more exciting parties of the summer took place right on the hockey courts where the entire camp rocked out to an amazing dance party! MBE was so lucky to be a part of Camp Winnebagoe’s UJA Day! MBE, Hart Entertainment, and Instyle Activities, teamed up for a carnival like no other. This was a real blast for everyone and definitely a summer highlight. A congrats to the campers and staff that raised the most money for the Walk With Israel… You guys made this day happen! 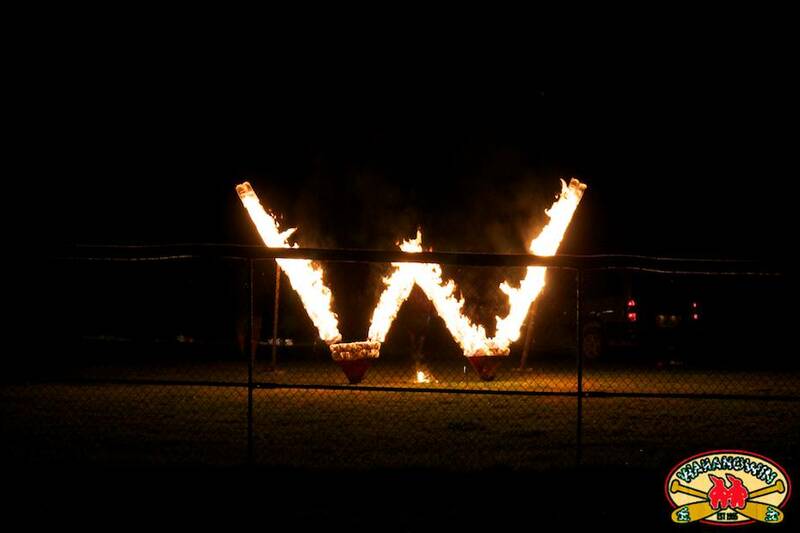 The action never stops at Winnebagoe and we can’t wait for next summer! 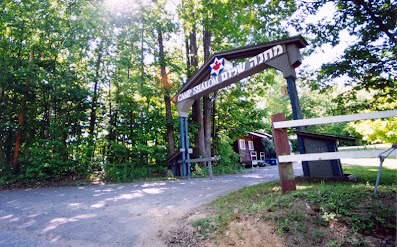 MBE @ Camp Wahanowin 2012!! Magen Boys Entertainment rocked the shores of Lake Couchiching at Camp Wahanowin this summer! Grove Ball was another huge success and Main Camp Prom rocked the night away! DJ Dave Keystone and DJ Justin Barkie were on the scene all summer long, pumping top hits and inspiring campers to get up and DANCE!!! This summer, Justin Barkie, along with his crew from Kreative In Dance Styles (KIDS), hosted the best, and may we mention, the Only, dance inter-camp competition in Ontario. Big Barney was bouncing to beats as camps competed to prove who’s got the most dance talent around! 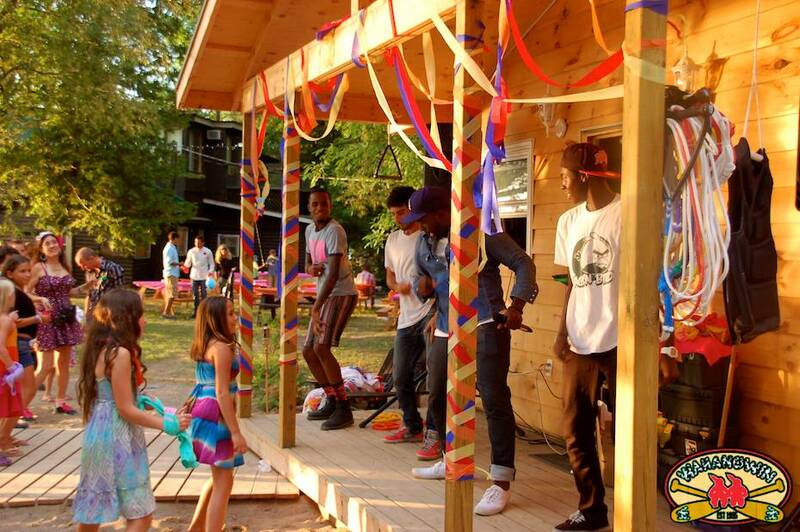 Magen Boys is proud to have been a part of creating so many special memories and energetic party moments at camp this summer, and we can’t wait for next season when we can Rock the House once again in 2013 with Wahanowin! All of the MBE/WAHA staff, including Dave Keystone, Justin Barkie, Zach Chousky, and Dave Burkholder, want to thank Waha and MBE for allowing them to merge both amazing families together to create such a unique experience! Party on WAHA! MBE @ Camp Walden 2012!!! W… that’s the way it BEGINS!!! MBE and Camp Walden have had a long and storied history. This summer marked the 15th straight summer that MBE partied at Camp Walden. The first month saw MBE’s Justin Barkie come up to camp and host a dance workshop for the dance maniacs. This was a real treat for those dancers at camp. The annual CIT Camp Wide Social saw over 500 campers Party Rocking all night long inside Walden’s historic “Omni” building. As usual the party was a true night to remember for everyone in attendance. Second month saw MBE doing the annual party on the beach. The Walden Luau has been a camp highlight every year and MBE was there to rock the house! Another great summer for Camp Walden and MBE! MBE @ Camp Tamarack 2012!!! 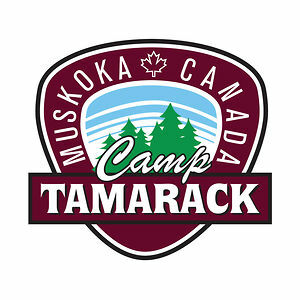 Camp Tamarack!!! We LOVE GOING BACK!!! At all times when we walked through T-Rack the spirit and the energy of all the campers and staff were at an all time high! MBE’s “Glow Party” was such a big hit and an incredible part of the camper’s summer! The kids were hanging from the rafters! The social marked the 15th straight year MBE partied at camp and the energy is constantly amazing us! MBE knows that when they’re going to Tamarack they have to prepare for a party like no other, and this summer did NOT disappoint!!! It’s such a thrill for us to be able to keep such a strong tradition of excellent fun and entertainment going at Tamarack and we’re so thankful that we get to experience the action with you!!! Thank you Tamarack for another excellent summer! MBE @ Camp Shalom 2012!!! It was an AMAZING summer at Camp Shalom, and MBE is proud to have been a part of it! This year, Chug Radio, was a huge success, filling the airwaves with tunes to remember! As expected, with any top 40 lovers, Starships, hit the top of the charts along with a handful of other knockout tracks! Memorable Magen Moments, included: the mitzvah of Head Staff Manile and Adam; the Magen Boys Party Rock Tour Party; and of course, the music played around camp everyday! The Magen Boys crew loves celebrating the summer up at Camp Shalom, and we’re PUMPED for what’s to come in 2013!! !